Siemens Speedfax™ 2-Pole Type QP surge protection circuit breaker is rated at 20-Amps/20-Amps and 120/240-Volt AC. The interrupt rating of this circuit breaker is 10-Kilo-Amps. It has dimension of 2-Inch x 3-Inch x 3-1/8-Inch. 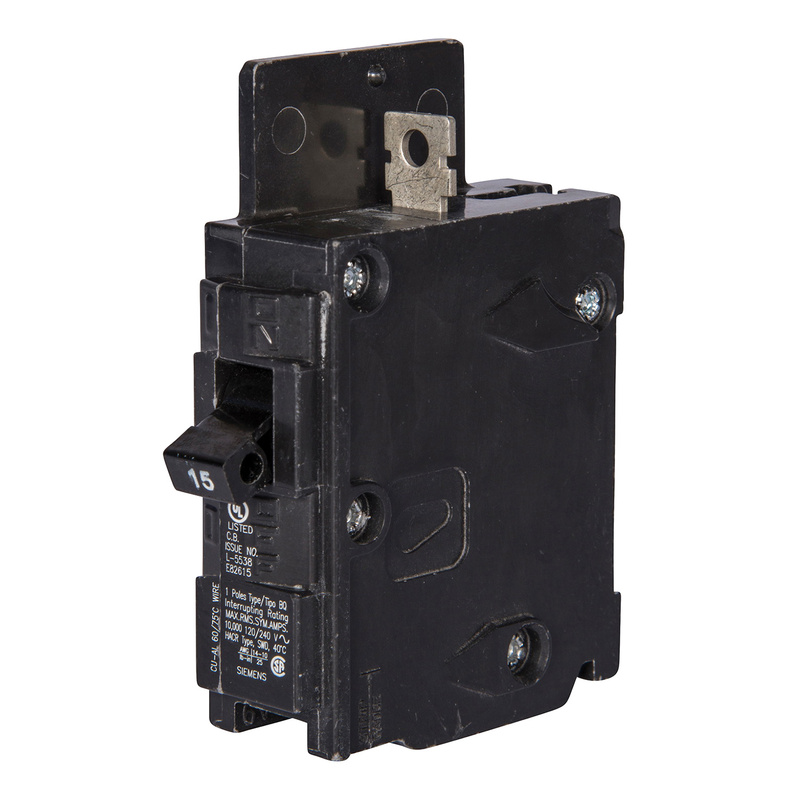 This 1-Phase circuit breaker with line and load lug terminal connection, accommodates aluminum or copper conductors of size 14 - 6-AWG. It employs LI, thermal and fixed magnetic trip for ensuring reliable performance. This QP-frame circuit breaker supports plug-on mounting, therefore making installation easier. It withstands temperature rating of 40 deg C. This circuit breaker is perfect for use on loadcenters and panelboards. Circuit breaker is UL listed and CSA certified.